On the 30th of January the second ERN Symposium took place in the Leiden University Medical Center (LUMC) in Leiden, The Netherlands. 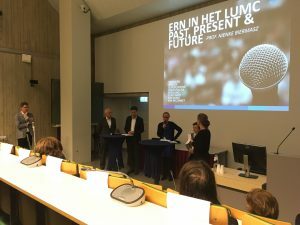 The day focused on rare diseases in the LUMC and beyond and had a jam-packed schedule with every representative of the eight different ERNs the LUMC participates in, getting speaking time. On top of that Prof. Gerlof Valk, the Dutch national coordinator of Endo-ERN, explained how to go about aligning ERNs with national policies and pathways. From the Dutch Ministry of Health, Welfare and Sport, Maaike Wijnhoud presented the involvement of the Dutch Government. The day was very informative and provided a lot of insight into how the Netherlands and the LUMC can best go about including ERNs in rare disease care as best as possible.